an opportunity to island hop from anguilla to st. maarten typically is not the most relaxing as a lot of locals leave anguilla and go across for more action. not us! after festive season (the busiest time of year in anguilla) we had a small window of two days and decided we were going to hide out on the french side of st. maarten. it's a twenty minute boat ride across from anguilla and you are transported to another country, brilliant. 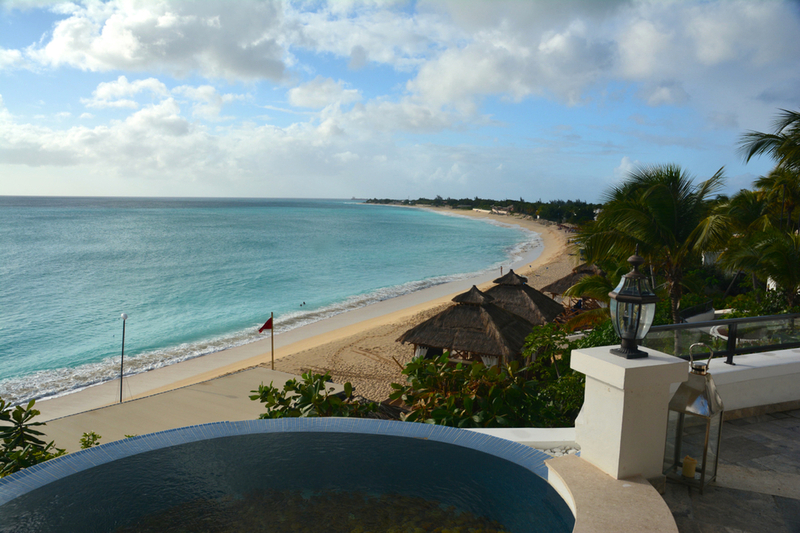 we found the best exclusive spot on baie longue (long bay) beach to do so, the unmatched la samanna resort. the resort has a quaint front drive, and certainly does not prepare you for the impressive view awaiting your arrival in the main lobby. it's truly a moment of awe and a slice of the mediterranean graciously greets your eyes. peering straight ahead nothing but blue waters and you realize you are perched on a cliffside above the white sands of baie longue beach, it is simply breathtaking. once checked in by a beautiful french woman Anne, we were given a quick tour, welcomed to the bar and promptly greeted with a complimentary cool rum punch. 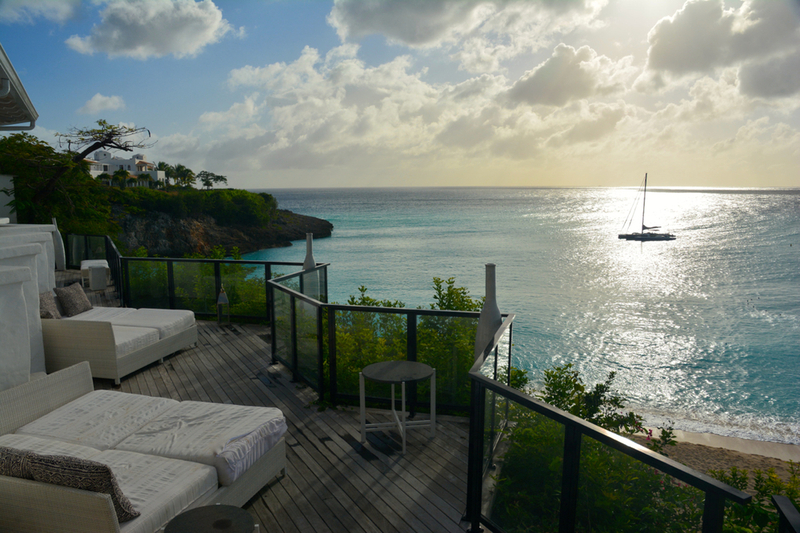 immediately you want to sit back and enjoy the inviting views and forget about going straight up to the room, so we sat and decompressed over divine drinks in the baie longue bar, no complaints just a feast for the eyes. check out the 360 virtual tour here. up to the room we went and although la samanna has 83 guestrooms, suites and villas spread out down the beach, the main building where we were located has the elegant feel of a luxury boutique hotel. our room was the perfect size with an incomparable charm and subtle french touches throughout. and the view, you could see for miles. our bathroom strutted bright colored tiles and even a bottle opener for a quick sip, which made complete sense. l'occitane amenities, luxe linens and a sweet bottle of la samanna's exclusive rum was really all we could ask for. speaking of rum, the rum tasting in la cave, the resort's private wine cellar, is a must do if you are looking for a unique experience. 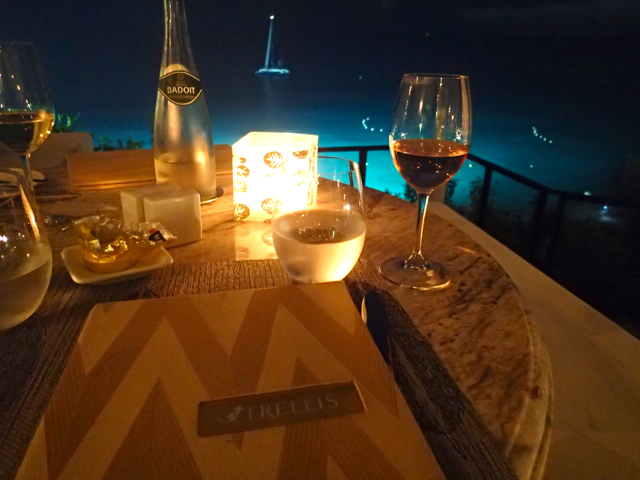 we made reservations both nights at the resort's trellis restaurant, it offered an extraordinary view with a bistro setting and open air breeze. it also flaunts a wine list that will make you swoon! thankfully my husband is a french wine connoisseur due to his late french uncle and best friend, so never a shabby bottle while channeling uncle harry at our table. not to mention the incredible knowledge of head sommelier, christian mirande. we enjoyed exquisite traditional french food with a twist, from the velvety foie gras, buttery escargot atop cauliflower puree, fine steak tartare, crisp, pan seared sea scallops, beautiful duck confit, and deluxe sea bass, we were literally in french foodie heaven. executive chef gil dumoulin crafted impeccable dish after dish and he was a delight to chat with throughout dinner, very attentive. 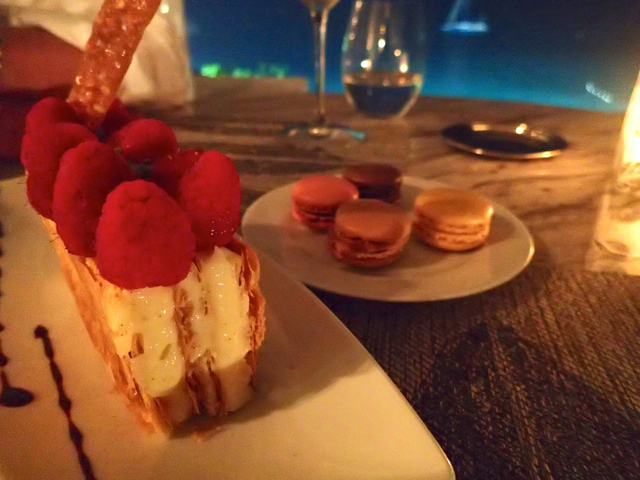 he also snuck special bites in between courses, and finally we finished with a favorite, a mille fleur, magnifique! an extravagant breakfast buffet filled with croissants, pastries, crepes, and even the cherished nespresso capsules was a special surprise to wake to and was also included with our room, it cannot get better. with so much to offer at the hotel from spa to shopping to snorkeling and sailing, we definitely chose our favorite activity for the day, lounging! 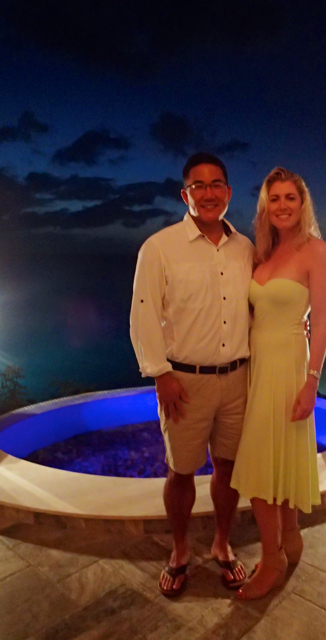 do not get me wrong, we love to explore and see the various cultures and hot spots, but this trip was all about relaxation, as we have been to st. maarten prior. another surprise mid-lounge, i discovered the raw juice menu on the beach, ahhh i suppose it does get better. the 'relaxation juice' it is without hesitation, freshly squeezed cucumber, carrot and apple pressed right there barside. after a good read, we were off to lunch at their beach bar, followed by surprisingly more lounging poolside. the beach bar offers a great bistro menu, we chose the light nicoise and caesar salads, followed by ridiculously delicious citrus tart. the evening came quickly upon us and we did not want to miss sunset and a chilled bottle of hermitage. need i say more? Á la votre! the latter 24 hours can be left to the imagination, rest assured it was well spent at la samanna. "let the action be the most important." now that defines superior service if you ask me.